Categories: Reach Fork Trucks, Electric Forklifts Riverside & Ontario, CA, Raymond Forklifts Rancho Cucamonga & Order Picker Ontario, CA. 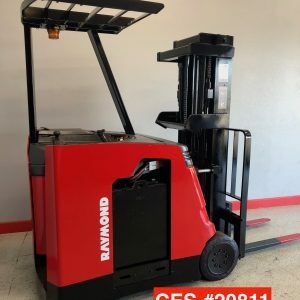 This Used Raymond Deep Reach Forklift is in great condition and it has a three stage mast. The battery is reconditioned. 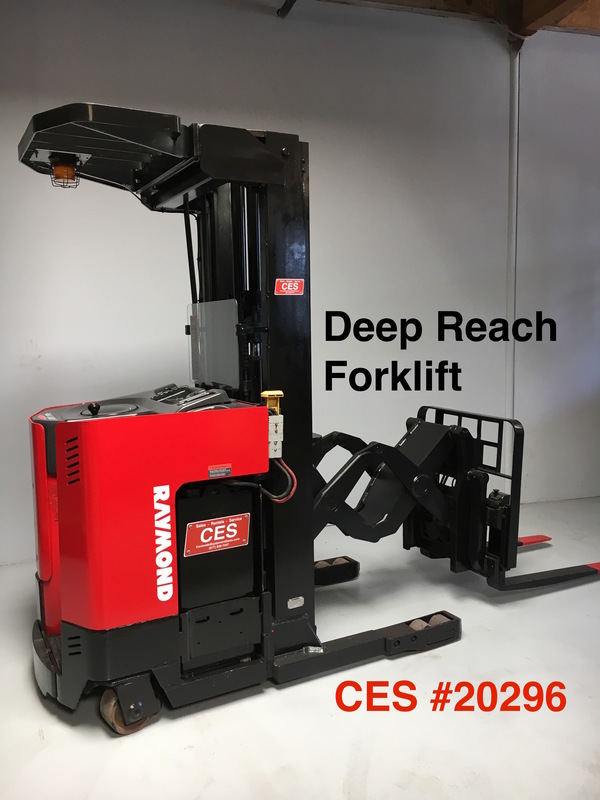 This used Raymond Deep Reach Forklift runs extremely smooth and strong. This used Deep Reach Raymond Forklift is in very good running condition and at $10,500 it is a great value. 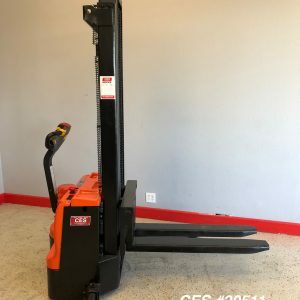 Used Deep Reach forklifts are very hard to find in this condition, if you need one please call right away. 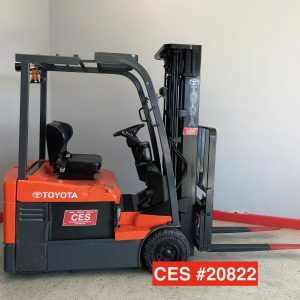 This used deep reach forklift is for sale and it includes a one year battery warranty and a battery charger.